I received a credit from Minted for writing this post. All opinions are my own. What comes to mind when you think of a child’s bedroom? Is it Disney characters? Race cars? Princesses? 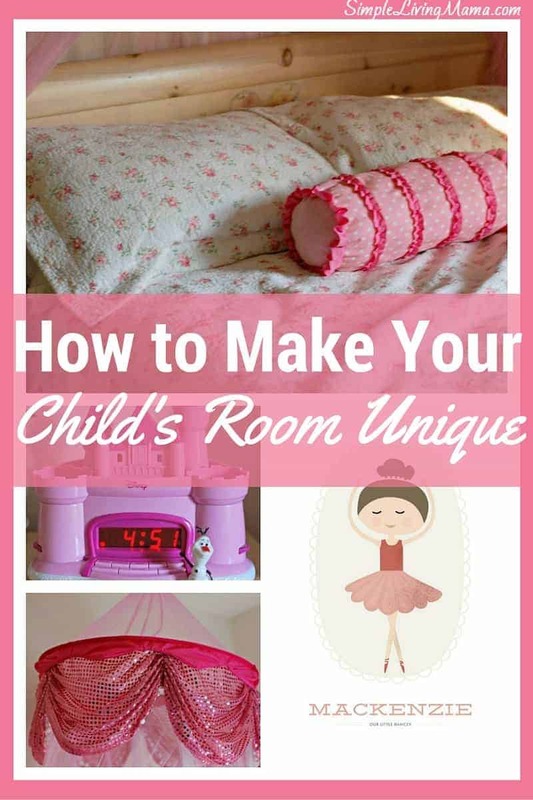 Figuring out how to make your child’s room unique, while still keeping some elements of their interests in the room is not hard. I get really excited when I get the opportunity to decorate and organize one of our children’s bedrooms. I wish I had an unlimited budget to make all of my decorating dreams come true! But, I don’t. I work with what I have. In our last house, my daughter’s bedroom was my favorite room in the house. When we moved in, my Papa came over and painted her bedroom a gorgeous rose pink. Her furniture was given to her by my other grandparents. It’s absolutely gorgeous and girly. 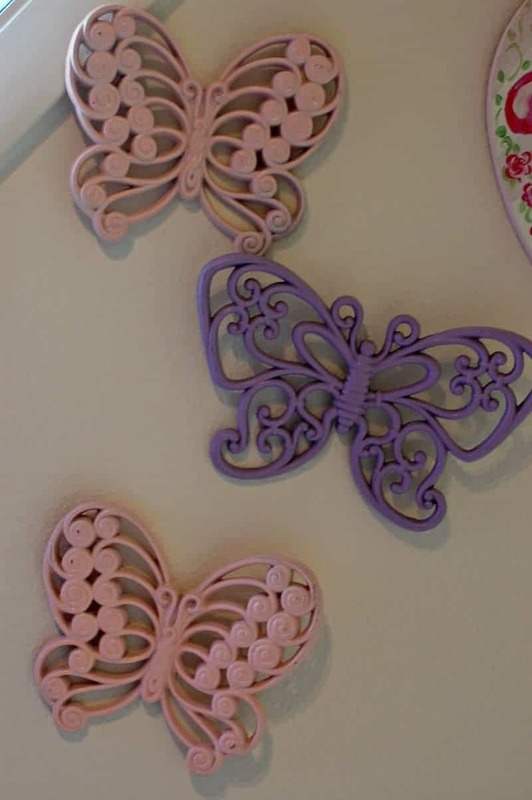 I went with a mix of princess, butterflies, and ballet and just adored that room. Fast forward to our new home. We can’t paint the walls here, but I still want her room to be a unique reflection of her. I kept most of the elements that were in her last room, and I honestly still love to spend time with her in that room. I think it’s really important to let your child have a say in how they want their room decorated. 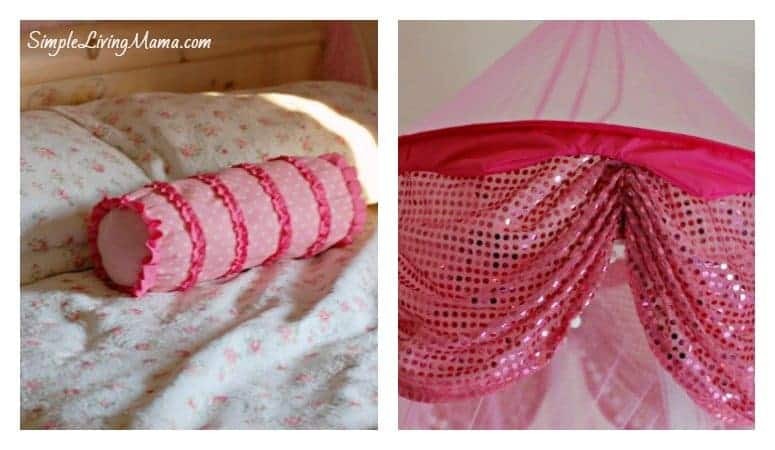 While you don’t have to go all out with the Disney characters, a few decals and toys can go a long way in making them happy with their bedroom. 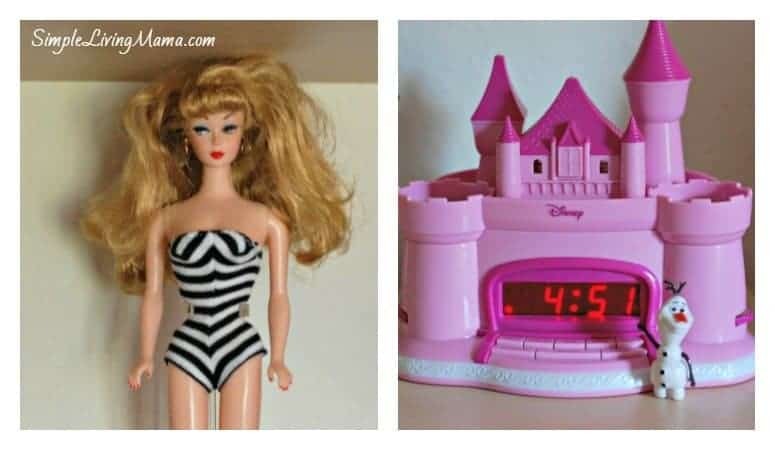 My daughter loved Barbies and princesses, so she has some Barbies on display and a few princess accessories. I love combining old and new elements. This little rocking chair came with the furniture from my grandparents. It’s pretty old, but very sturdy and the perfect size for my little girl. Her furniture is classic, but the canopy is new. I also really LOVE her quilt. My grandmother gave it to her, and I add new pillows for a little pop of color. These butterflies were painted by me when I was pregnant with my daughter. The butterflies came from my mom and she’d had them forever. I just updated them with pretty colors. My grandmother made this photo. It’s a picture of me as a baby and one of my daughter. We are wearing the same dress. 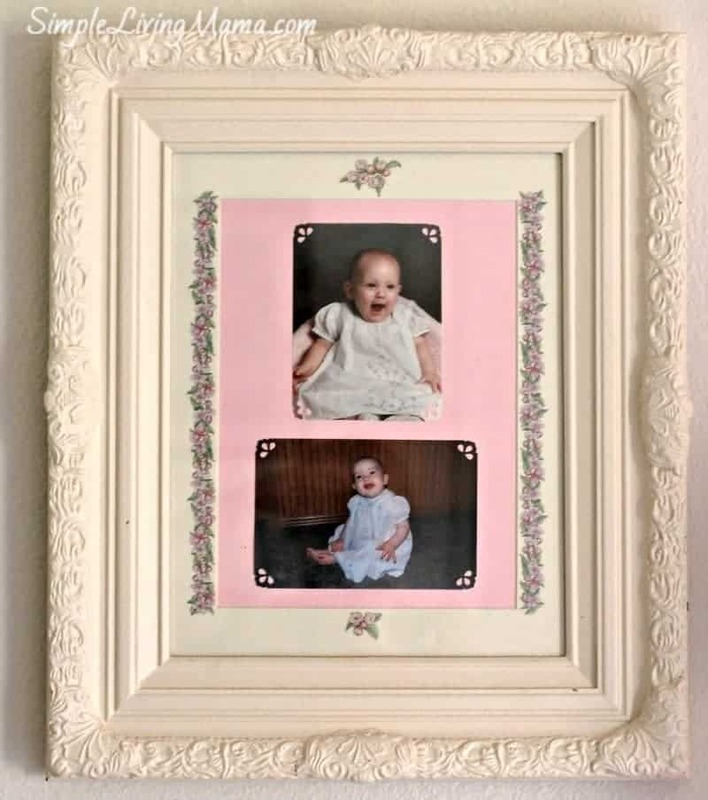 I also love adding a baby photo to the bedroom. Decorating with prints is the perfect way to add a personalized touch to your child’s room. These gorgeous prints are from Minted. 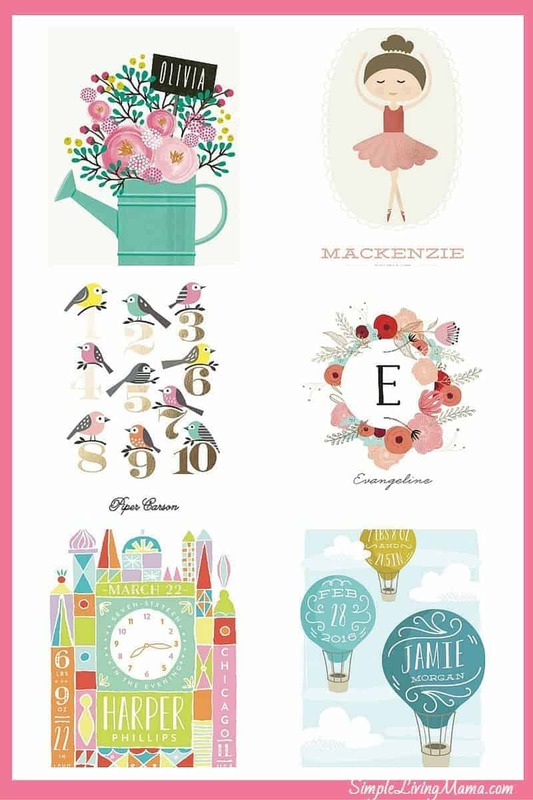 What I love about Minted is they use artwork from independent artists in all of their designs. You won’t find these prints in your local retail store. Minted takes content submitted from around the world, and then sells it as stationery, art, and home decor. Just look at these gorgeous prints you can purchase to decorate your child’s room. Minted will be running their Free Foil Event (20% off all foil-pressed products) from 3/8 – 3/14! This will be the perfect time to snag some of their great products! 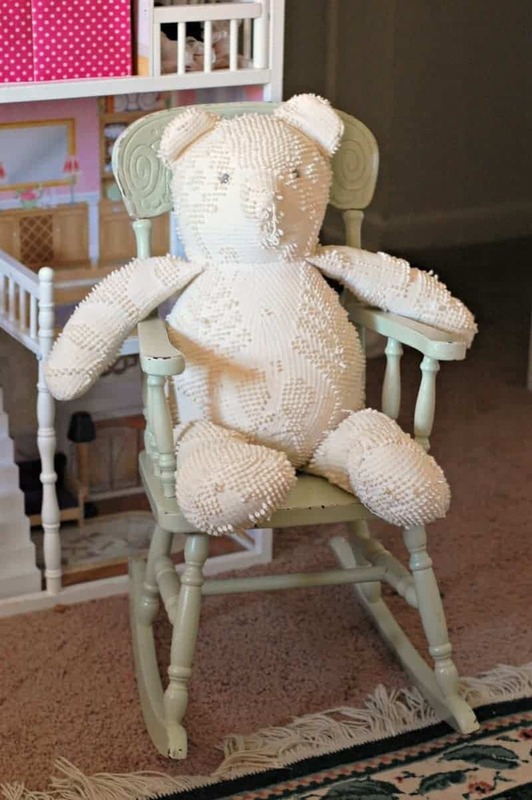 So, if you are in the mood to redecorate your child’s room, you can make it unique without going all out with the characters! How do you decorate your children’s rooms? Yes, indeed what wonderful ideas for a girls room. I really like the personalized images from Mint!